You’ve likely heard about recent pet food recalls where pentobarbital, a drug commonly used for euthanasia in pets and horses, was found in several canned dog foods made by two different companies. It’s natural to hear this kind of news and worry about the food that you feed your pet, whether or not it is the food involved in the recall. 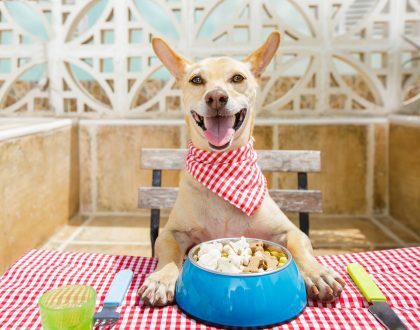 But, before you get too worried and switch your pet to only home-cooked meals, which have their own risks unless carefully formulated, keep in mind that pet food recalls are relatively rare and serious ones even less so. In fact, human foods such as baked goods, fruits and vegetables, and meat are much more likely to be recalled than pet food! Does a recall mean a pet food company makes bad food? Some popular pet food ranking sites/organizations include whether the company has had a recall in their criteria for ranking diets. However, having had a recall alone does not necessarily mean that a food is not safe or high quality. Similarly, the lack of a previous recall does not mean that the food is always good quality. In the case of one of the phenobarbital-contaminated foods, the manufacturer had not previously had a recall, but had a history of a number of quality control issues documented by the FDA going back many years. Unfortunately, the products had been rated highly by several questionable (but popular) pet food ratings organizations despite these issues and so were popular with pet owners. 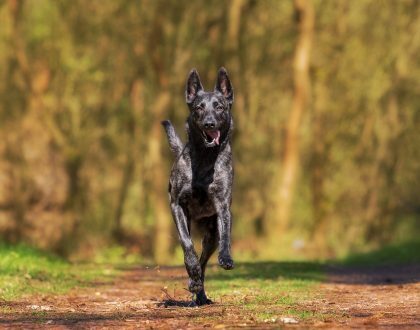 What matters is not whether there has been a recall or how many a manufacturer has had, but the reason for the recall(s), who discovered the issue – the company or a pet owner, and how the manufacturer handled it. The US Food & Drug Administration (FDA) is responsible for the safety of both human and pet foods. There are three types of recalls for human and pet foods – at the companies’ request, at the FDA’s request, or by FDA order. Companies can call for a recall on their own, often because they have identified a problem in their own testing – maybe nutrient levels didn’t meet final goals after the product shipped, they detected contamination, or a defect was reported in the seal of a bag or can. That can only happen if the company is routinely testing their foods for potential issues– not something all companies are doing. Sometimes, the company doesn’t test for or identify a problem but there is random testing at the federal or state level and the problem is detected. Or worse, pets can actually get sick from a product and that leads to testing. If there is evidence that the food could cause health concerns to people or pets and the company doesn’t volunteer to recall the product, the FDA can request (“strongly encourage”) a recall. The most severe situation is if a dangerous product is detected after the food is on the shelves or pets (or people) actually get sick. In these situations, the FDA can force the company to do a recall if they don’t call for one on their own. This is very uncommon. What is a “good” vs a “bad” recall? The most concerning recalls are certainly those where a pet or a person has gotten sick, or worse, died. Probably the best-known example of a pet food recall for a life-threatening concern was the melamine contamination leading to the massive recall of 2007. This incident was devastating to pet owners whose pets got sick or even died, and scary to all other pet owners. 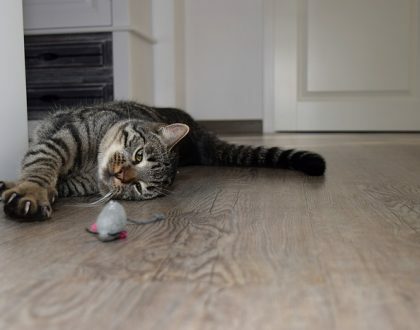 Many pet owners blamed the companies whose food was recalled, but this was a unique situation as the toxin was purposely added to the raw ingredients in China for financial gain. Until pets (and later babies in China) started becoming sick, melamine wasn’t a known problem in pet food (or human food). As no one had any reason to ever suspect that melamine would be added to food, it wasn’t something for which even the best manufacturers would be testing. This fact may explain the delay between when the first cases were reported and when all the diets were finally recalled. It took several weeks to figure out what the problem was, especially because it involved multiple products from multiple manufacturers. So, while this problem was very serious, many of the manufacturers were likely adhering to appropriate safety procedures at the time. What happened with these most recent recalls? Incidents such as the recent recalls for pentobarbital contamination, on the other hand, suggest lapses in quality control at the manufacturer level. Pentobarbital has been a known potential issue in pet food manufacturer for over a decade and it can be avoided by careful attention to ingredient sourcing, auditing suppliers, and testing at the pet food plant during or after the food is made. 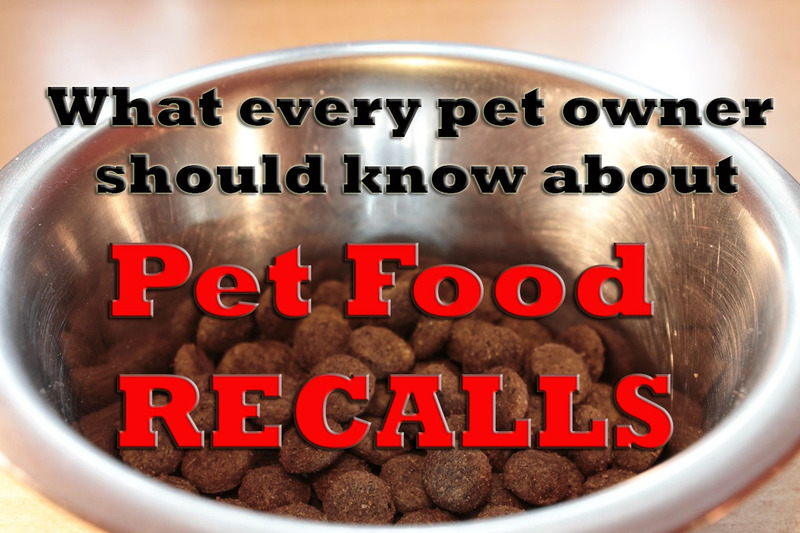 So, this type of recall should be considered more negatively when choosing a pet food. How do good companies handle recalls? Even for serious recalls, a lot can be determined by how it is handled by the company – do they take responsibility immediately and make it clear what happened and how it will be prevented in the future, or do they initially deny the issue, then blame others for their lack of oversight or control of their supply chain? Does the company have other black marks on their records such as FDA warning letters, failed inspections, or other issues? (FDA warning letters have traditionally been posted online). Surprisingly, sometimes a product recall can mean that the company actually has *better* quality control and integrity – because they’re doing routine testing of ingredients and finished products, they realize that the product doesn’t meet their specs and are willing to risk the negative publicity of a recall to make sure that only the highest quality product gets in the hands of the consumers. It also gives the company an opportunity to review their safety and quality control procedures and improve them. These tend to be the recalls that the company institutes on their own before any animals or people get sick. Unfortunately, this information will not be on the pet food label and as such won’t typically factor positively into pet food rankings or ratings. Should I look for companies that have never had a recall? Even with the very best manufacturers, the larger the company and the more food that is made, the greater the odds that there will be an occasional recall. Some companies never have recalls because they aren’t looking for issues so they aren’t finding them. Particularly for foods that are made in smaller batches, even if there are issues, they may not be linked back to the food. When a company advertises that they’ve never had a recall, that doesn’t mean that they haven’t had issues that would be identified if they were doing rigorous testing! What’s the take home message on recalls? If your pet food is recalled, it’s worth looking into the situation a bit more. Both the reason for the recall and how it was handled by the company should factor into your decision of whether you should switch manufacturers. Despite the publicity surrounding recalls, the vast majority of commercial pet foods are safe and healthy for your pet! Be proactive – rather than picking a diet based only on the label information and pet food ratings, consider calling manufacturers and asking them specific questions about their quality control procedures. Check out this post for more info on what questions to ask when you call. 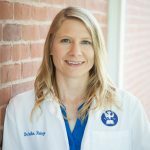 Dr. Cailin Heinze is a board-certified veterinary nutritionist at the Cummings School of Veterinary Medicine where she teaches biochemistry and clinical nutrition. She is an expert in home-cooked diet formulation and general pet nutrition and has a special interest in feeding pets with kidney disease and cancer. 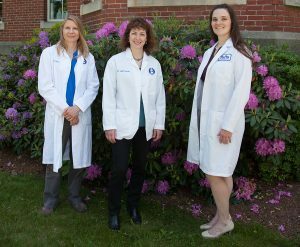 Dr Heinze has been featured in Eating Well, WebMD, Prevention magazine, and Dog Fancy and she regularly speaks at national and international veterinary conferences.